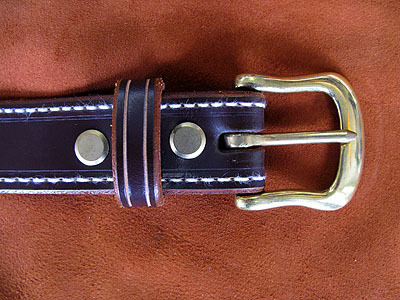 Handmade brown leather belt with solid brass buckle. Smaller size, 40" long from buckle to tip. Measures 30" to shortest hole and 36" to longest hole. Features decorative edge stitching. Unbacked. Nice simple well made belt that will last for many years.